WASHINGTON (Reuters) - The U.S. Supreme Court on Friday temporarily prevented a Louisiana law imposing strict regulations on abortion clinics from taking effect in a case that presents a key test on the contentious issue following last year's retirement of Justice Anthony Kennedy, a pivotal supporter of abortion rights. A one-page order issued by Justice Samuel Alito said that "the justices need time to review" the various court filings before making a decision on the emergency application filed by Shreveport-based abortion provider Hope Medical Group for Women to block the law. Hope Medical Group challenged the law's requirement that doctors who perform abortions must have a difficult-to-obtain formal relationship called "admitting privileges" at a hospital within 30 miles (48 km) of where the procedure would be performed. Kennedy, a conservative who retired in July 2018, had voted to preserve abortion rights in important 1992 and 2016 rulings. Republican President Donald Trump replaced Kennedy with Brett Kavanaugh, one of two Trump appointees who are part of the court's 5-4 conservative majority, along with Neil Gorsuch. 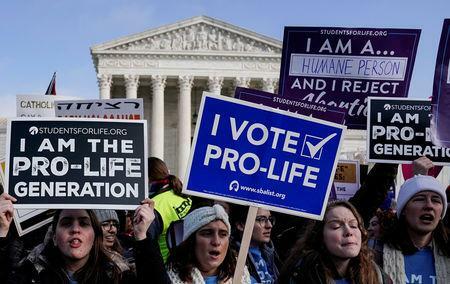 Lawyers for the abortion provider said the Louisiana provision is almost identical to the Texas law the Supreme Court struck down in 2016 on a 5-3 vote, with Kennedy joining the court's four liberals in the majority. As a result, the court's action in the Louisiana case could send a signal on whether the new conservative majority will retreat from the 2016 ruling. 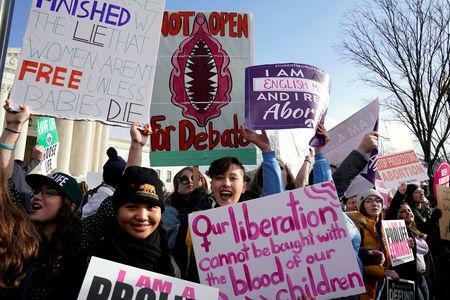 A federal district judge struck down Louisiana's law in January 2016, saying it created an undue burden on a woman's constitutional right to an abortion under existing Supreme Court precedent. The high court legalized abortion nationwide in 1973. But in a September 2018 ruling, the New Orleans-based 5th U.S. Circuit Court of Appeals revived the law, saying there was no evidence any clinics in Louisiana would close as a result of the "admitting privileges" requirement. The 5th Circuit on Jan. 18 refused on a 9-6 vote to rehear the case, prompting four of its judges to dissent, saying the court's September ruling was "in clear conflict" with the Supreme Court's Texas decision.